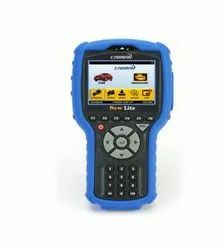 Carman AUTO-I 100 the most modern and innovative car diagnostics tool from famous Korean maker CARMAN International. 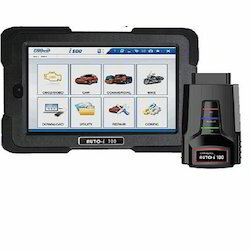 The concept of the scan tool is OBD-II dongle with integrated 16 pin adapter and emebended Blueetoth chipset. 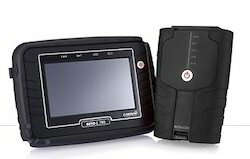 The dongle is connected to car OBD socket and information from car is transferred wirelessly to tablet PC. The advantage of such configuration is absence of cables, compact kit and mobility. The tablet PC with Diagnostics software for Korean, Japanese, US and European cars, based on newest OS Windows 10 is part of the kit. For older cars users could use general OBD-1 adapters together with AUTO i-100 dongle. Dongle also has integrated USB socket to connect it to tablet PC by wire. We provide 2 years warranty for the dongle and one year of free unlimited updates. By keeping track of current market development, we are offering an excellent range of Carman Multi Scanner that are known for their excellent efficiency in scanning important documents. These scanners are developed with topmost grade material and latest technology in conformity with the industry accepted standard. Our scanners are well tested on numerous parameters of quality before delivering to customers. Furthermore, offered scanners are designed for fast boot-up and high performance by adopting 3 CPUs dedicated to computing. 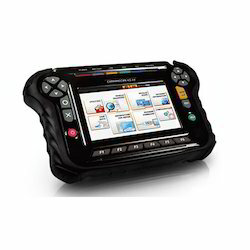 If the CARMAN auto i700 is connected to the same network with the PC where the PC Utility program is installed, CARMAN can print the current screen display or saved screen captures through the PC’s network printer. A short press of the power key while operating puts CARMAN auto i700 into the Stand-by mode – hibernating with the minimum power consumption, and CARMAN wakes up instantly by a short press of the power key or by touching the screen. We offer wide range of Automotive Diagnostic Equipment.